Google’s Pixel 2 is out and techies are already floating their reviews. Due to the growing awareness within the tech circle and the increasing vigilance by the consumers, brands are being pushed and pulled with rave reviews. The expectations are rising and the need for building more than perfect products/devices is growing. How do brands cope up with these ever-soaring expectations, market dynamics, competition, and rising cyber risks? This seems to be a concern across diverse industry domains. While Software Quality Assurance and Testing continues to be the best recourse, Performance Testing with its various offshoots has been enabling enterprises to venture into the markets with conviction. As Gartner had estimated in its report (published in 2016) on Top Strategic Predictions for 2017 and Beyond: Surviving the Storm Winds of Digital Disruption, “by YE17, one in five leading global retail brands will use AR (Augmented Reality) to enhance the shopping process, resulting in dramatically higher levels of customer engagement.” Today we are already heading towards the end of 2017 and these spoken technologies have become a reality. This brings forth the concern whether brands are really ready for such transformational propositions in their business? Can they manage to offer the users the experience that they have envisioned by implementing the new technology? Analyst reports, Market Research, and industry thought leaders have validated the role of Performance Testing, and estimated the key factors required in your Performance Testing/Load Testing tools (- Real-time analytics, transactions tracking, and optimized recommendations,) bring Scalability, change virtual users, and simulate network conditions. This holds true and so does a comprehensive Performance Testing strategy that is agile and adaptive to the digital needs of the organization. 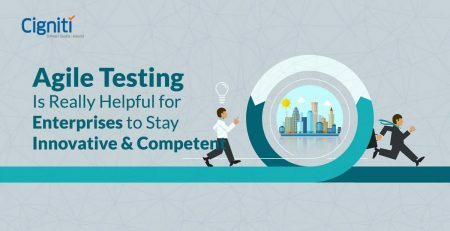 Performance Testing is key to the Agile processes, enabling enterprises to build higher quality software within stringent timelines by staying cost-effective. The core objective is to check for defects early and more often in the development cycle and effectively test functionality and performance during a sprint. In this way, there is no need to wait till the end of the development cycle to detect defects and incorporate changes. In an Agile mode, completion of the sprint implies that performance testing is also done and the application is ready for the end users. Performance Testing in an Agile environment is effective, but by adopting some best practices. In order to get the best results from Agile Performance Testing, it is important to collate all performance-related data and evaluate it during system architecture discussions and planning. It also makes sense to work collaboratively with the end users and stakeholders to set the acceptance criteria for performance. 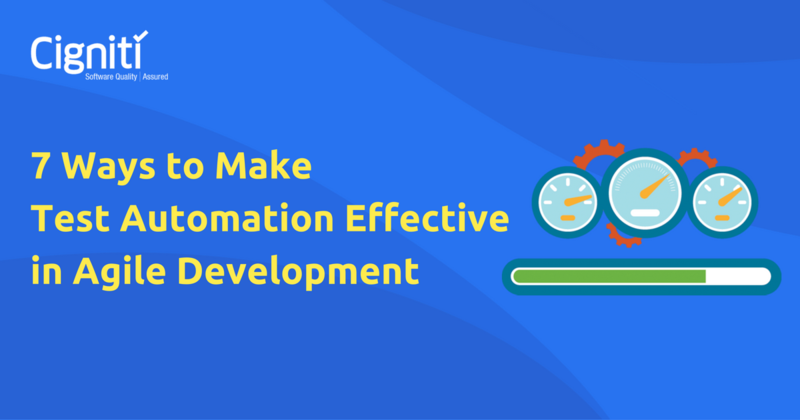 Testing early in the software development cycle is important, so that performance testers get involved, boosting efficiency. It is important to ensure that performance testers work on test cases and test data preparation while developers code the user stories. Moreover, scheduling of performance tests during non-working hours boosts utilization of time within the sprint. Considering performance issues keep on piling up, the application has to meet the functional requirements and must be delivered within the timeframe. With Agile Performance Testing, the performance tests are incorporated within the development process and not at the end of the process. Following are a few more intrinsic benefits of Agile Performance Testing that are compelling enterprises to consider the practice in a big way. Performance can be enhanced all the way, from the inception of the project to its end. Agile Performance Testing helps to incorporate tests early on in the sprint, which helps in identifying issues and bottlenecks with the application. Unlike Functionality Testing that is easy to add within the sprint, adding Performance Tests within the sprint is kind of tricky. For Performance Testing, it is important that the application is fully developed and functional. However, it makes a whole lot of impact as with performance tests, the defects are better identified and resolved faster. In an Agile environment the responsibilities between testers and developers are shared and can be interchanged as well. The communication channels are active and utmost transparency is maintained. This boosts the performance testing activity and is not pushed on the testers, enabling teams to attain performance efficiency for every sprint, till the conclusion of the project. Accountability for software quality is one of the greatest highlights of Agile software development and testing. Functionality Tests are often included during the sprint and are easier compared to the Performance Tests for which the application needs to reach a stable situation. Performance Testing in an agile set-up helps to ensure functionality and performance in the same breath. This helps teams to save time and costs; hence, they don’t have to go back in time or at a particular level to identify the performance hiccups. It happens on the go! The challenges posed by the digital ecosystem are coercing enterprises to experiment more and devise software development patterns that can help build resilience for the application/product. 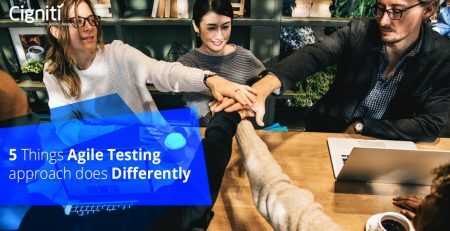 When Performance testing begins early in the sprint, it gives time for developers to experiment with new features and test them for the desired outcomes. This not only helps in bringing a new perspective to the application under test (AUT), but also ensures that the application stays strong in the digital space. At the same time, new features are added to ensure a great user experience. It has been observed that Performance Testing gets delayed during Agile development, where the cycles are short and performance comes in only at the end of the sprint. This often results in poor testing of the code, where the code gets released without sufficient testing and inadequate user stories for the next release. When Performance Testing is pulled into the sprint from the beginning, the code gets effectively tested for a successful release. The need for Performance Testing is on the rise and the methodologies are changing as well. Enterprises have adopted the Agile route to bring more flexibility and efficiency to the development activity. Early Performance Testing helps to bring cost-efficiency, and cut down testing efforts to bring ease and resilience. Moreover, there are many tools that help simulate the load on the application and regulate resources such as bandwidth, data transfer speeds, and latency. This helps teams to determine performance with much more conviction. Cigniti’s Performance Testing expertise and Performance Center of Excellence (CoE) span a wide range of applications including client-server, web, distributed, mobile, cloud databases, high volume transaction systems, and highly complex applications. Connect with us to build future proof applications with high responsiveness, availability, and scalability.